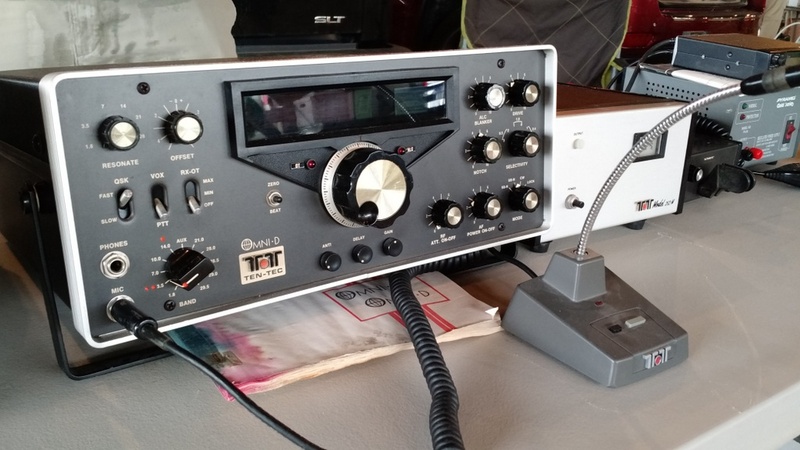 A few weeks ago, on July 25th, I made my way to Waynesville, NC, to the WCARS hamfest. 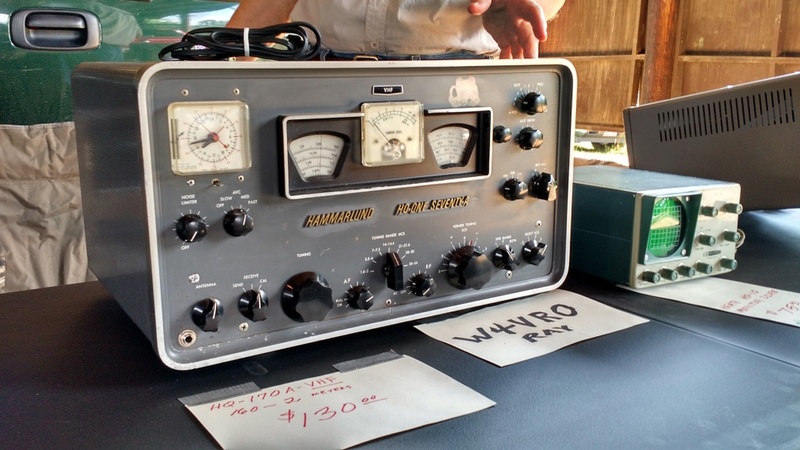 This is a much smaller hamfest than, say, the Shelby Hamfest I recently attended. 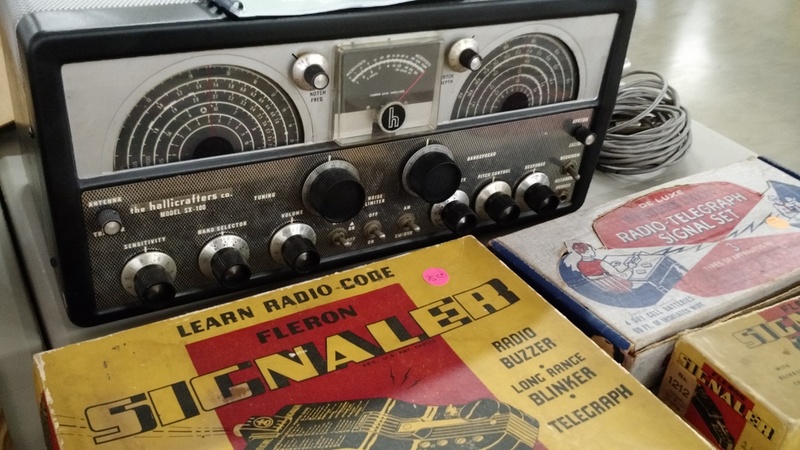 In the past, however, I’ve found some real gems among the tables of this small hamfest. 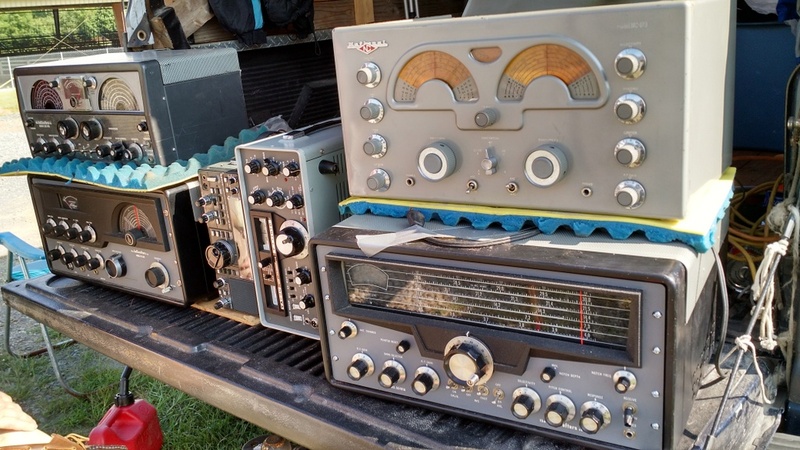 I took a few photos but should note they’re not at all a representation of what was available at the hamfest, rather the things I found of interest (ahem…vintage gear). 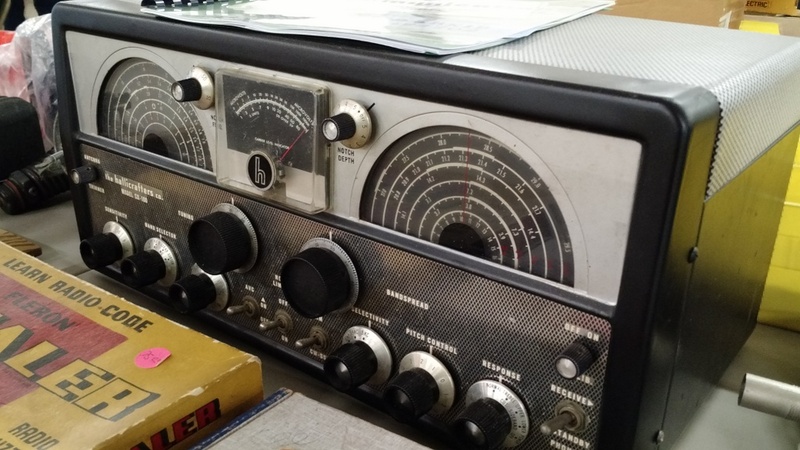 This Hallicrafters SX-100 was on one of the first tables I noticed in the main building. 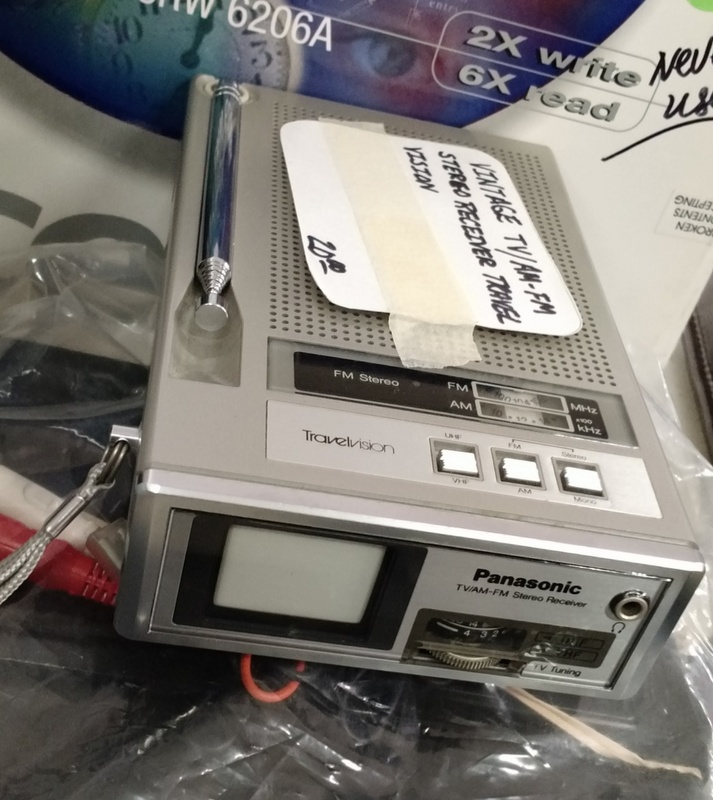 I have an SX-99 and have always thought about “upgrading” to an SX-100. 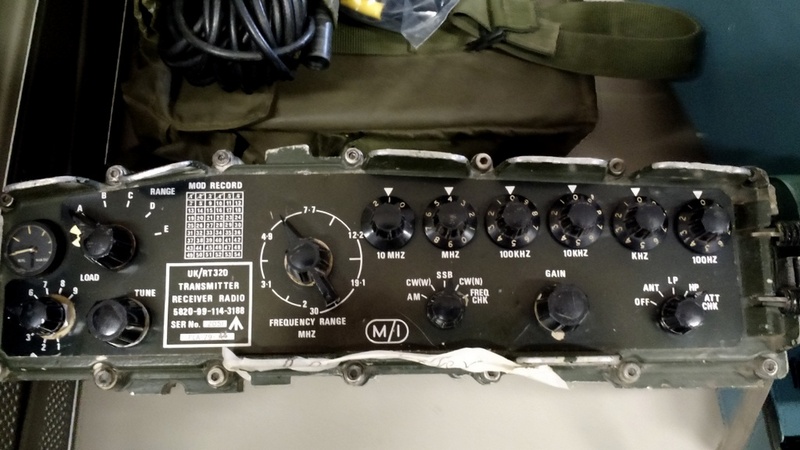 The seller was asking $150. My buddy, Mike (K8RAT) believes the Omni D is one of the best CW rigs ever made. 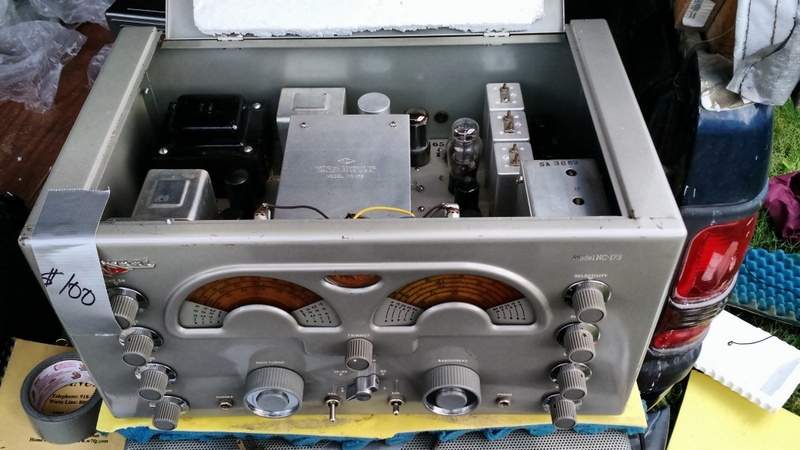 He purchased one–in excellent condition–with matching power supply at a hamfest in Ohio for $200. 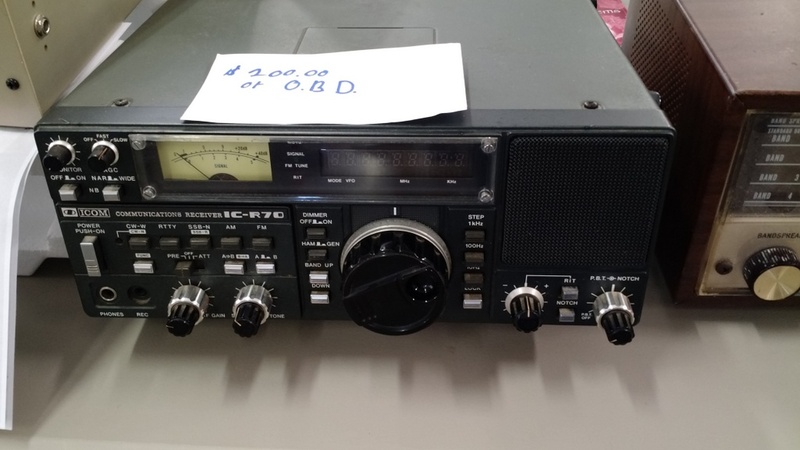 I believe this one, and another OMNI D at the WCARS hamfest were selling for $300+. I would have loved a little radio/TV combo like this when I was in middle school. 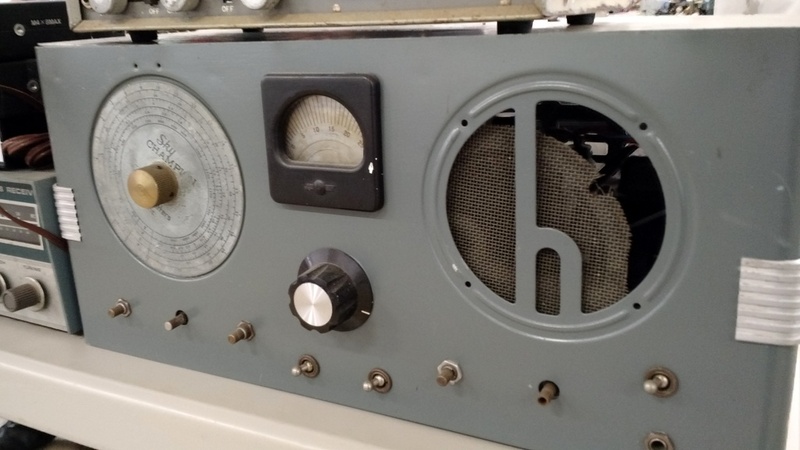 The two inch black and white CRT screen reminds me of the devices everyone carried to open doors and communicate on Space 1999. I still find the IC-R70 and IC-R71 appealing. 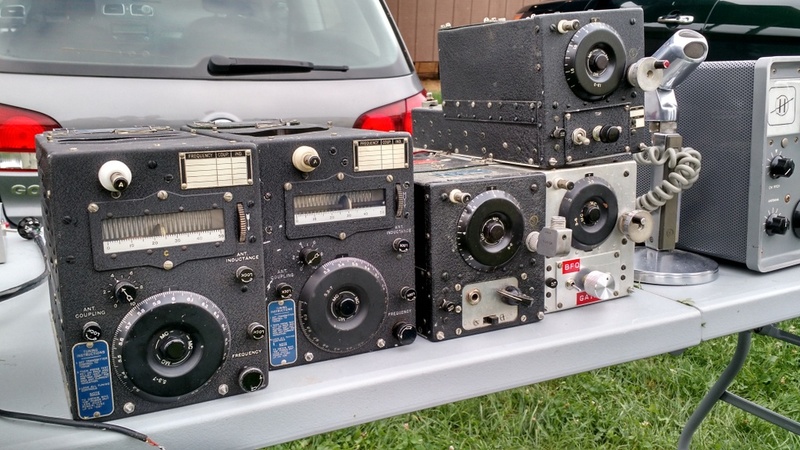 Maybe it’s that classic Icom green. This National NC-173 really caught my attention. 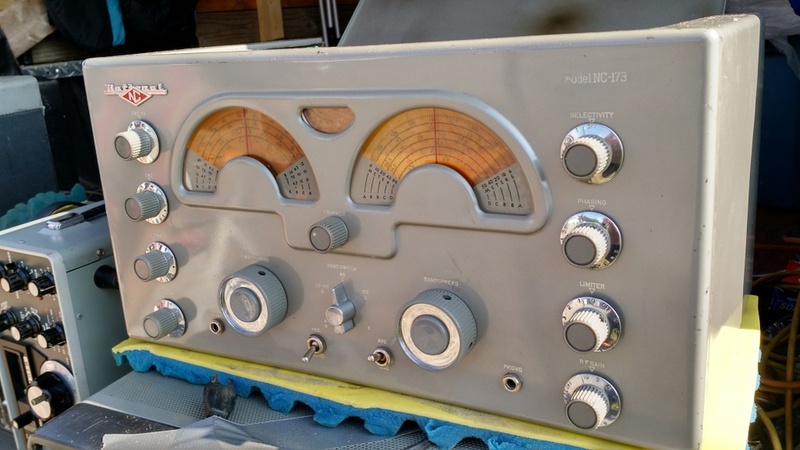 The seller had kept this radio in excellent cosmetic condition. Indeed, the temptation was too much! I purchased the NC-173 and took it home. After turning it on, though, I felt voltage on the chassis (50V, in fact) and no audio. I contacted the seller, who lives locally, and took it to his home work bench. He happily refunded my money and then began looking for the fault. My life has been so hectic, I haven’t gotten back to him yet, but he was holding it for me should I want to purchase again. I may very well go back and purchase it. Hey, if it’s good enough for Thor Heyerdahl, it’s good enough for me! While none in working order necessarily, these ARCs were being sold for about $25 each. I probably should’ve gotten at least one. 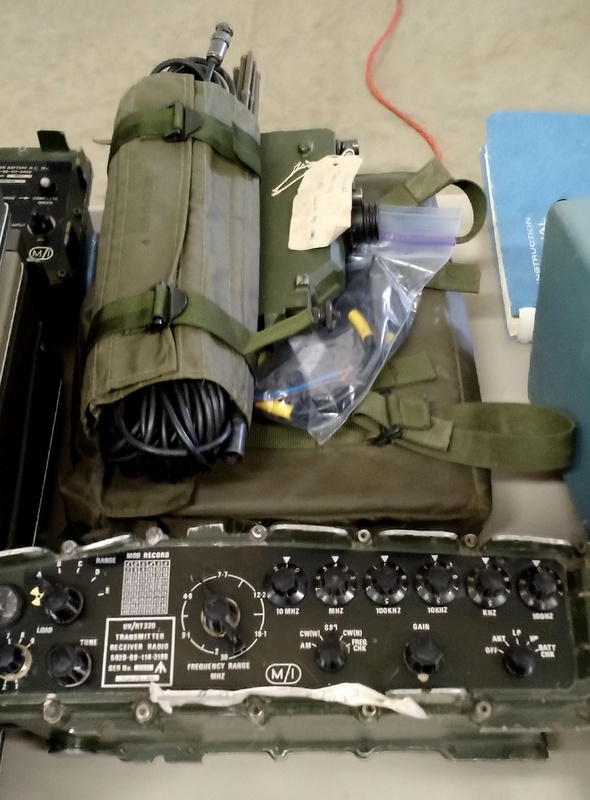 The seller wanted over $700 for this Clansman manpack transceiver and accessories, if memory serves. Someday, I’ll snag one of these. 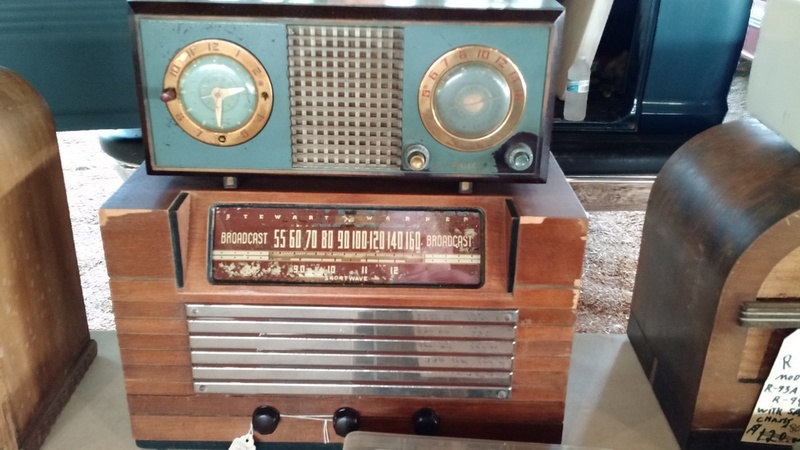 The seller–an avid antique radio collector–sold this 46-350 to me for $25. I feel like I got a deal, too: the receiver is amazing and the audio is beautiful. The chassis shows wear, but I like that (gives some chronological context–!). 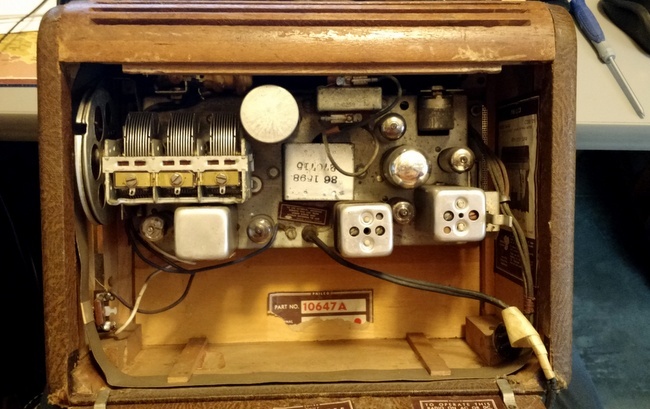 The inside is in great shape for a radio that’s almost 70 years old. 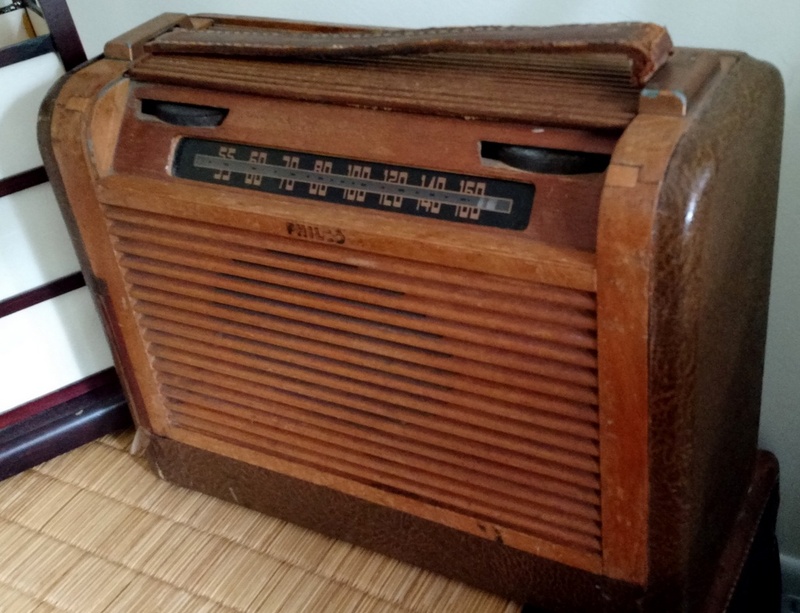 This Model 46-350 has become my bedside radio; one my sweet wife didn’t object to at all. 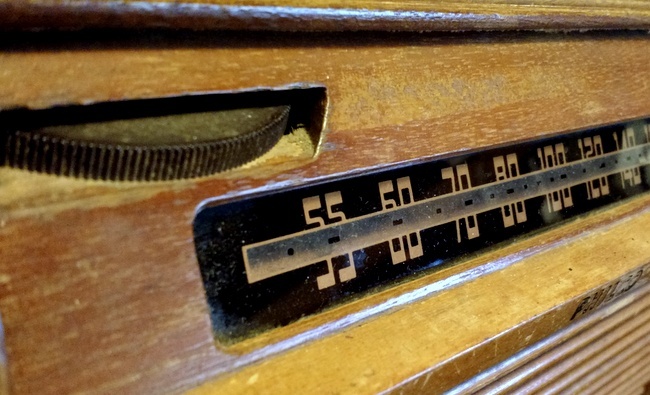 When not listening to a local AM station, or one of the night time clear channel stations, I tune to my (very) locally transmitted 1570 kHz which typically relays the UK 1940s Radio Station. All in all, a good haul! 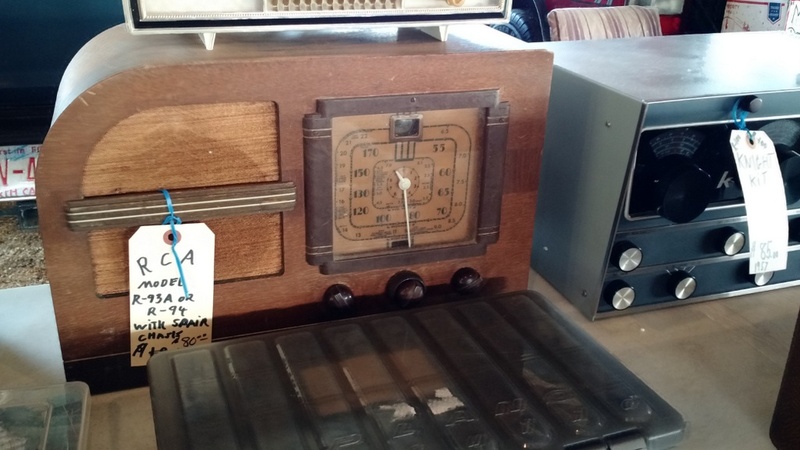 I’ll certainly visit the WCARS hamfest again next year if my schedule allows. 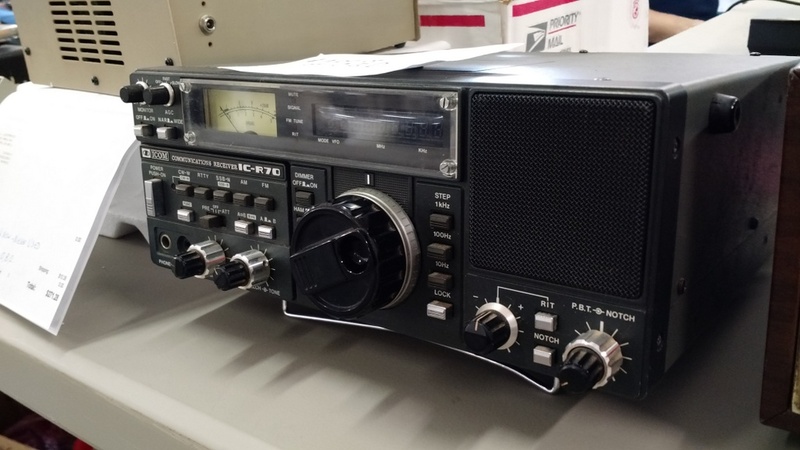 This entry was posted in Ham Radio, News, Nostalgia, Photos, Shortwave Radio and tagged Ambery IP-P2, ARC-5, Clansman PRC-320, Griffin Technology PowerMate, Hallicrafters SX-100, Hammarlund HQ-170, Icom IC-R70, National NC-173, Phillips Model 46-350, Ten-Tec OMNI D, WCARS, WCARS hamfest on September 14, 2015 by Thomas.